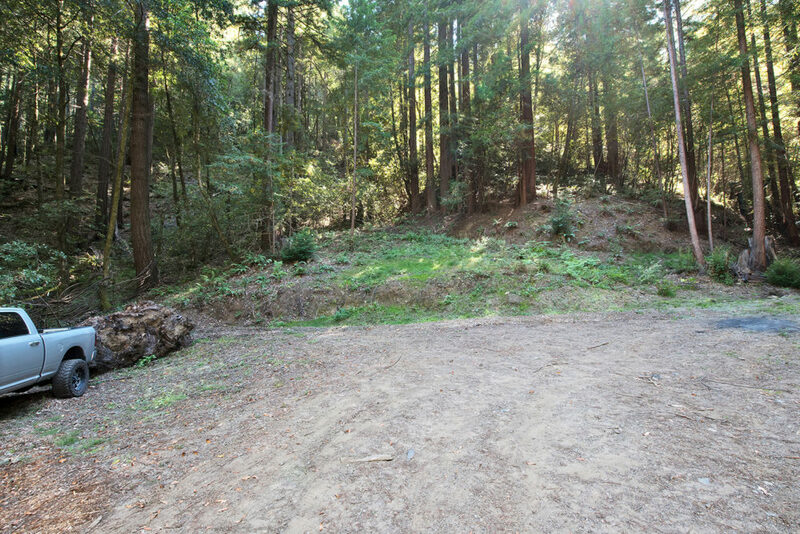 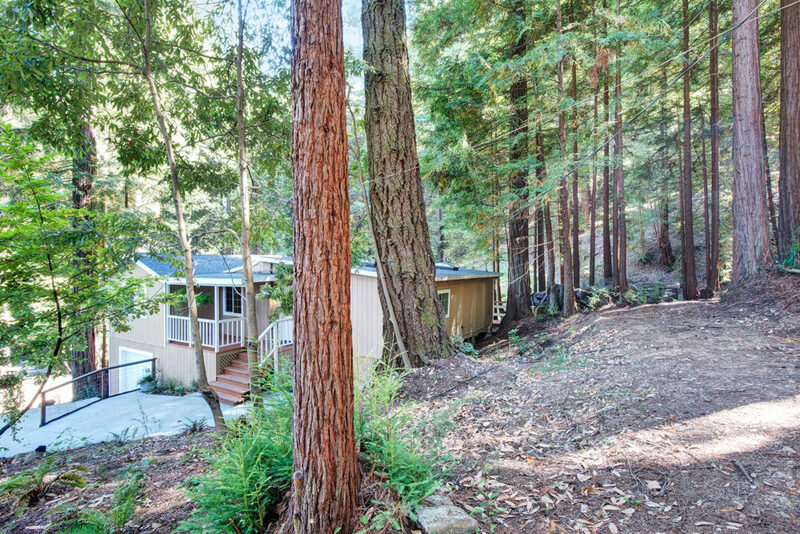 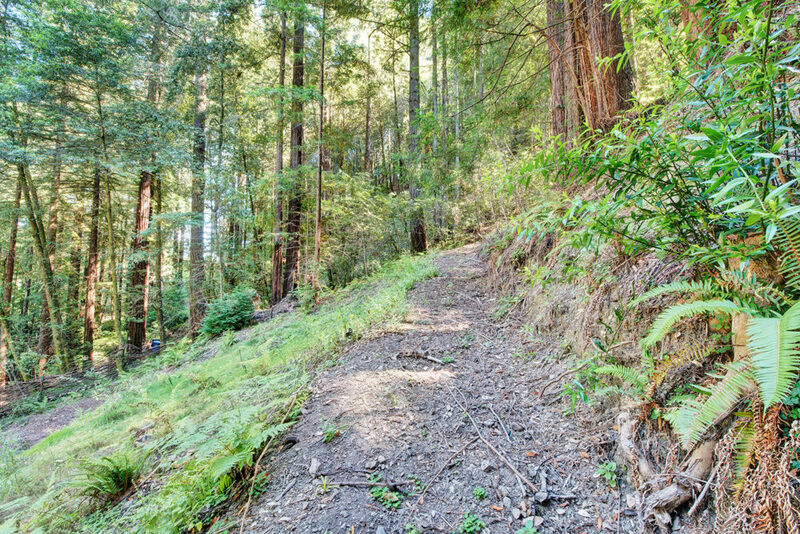 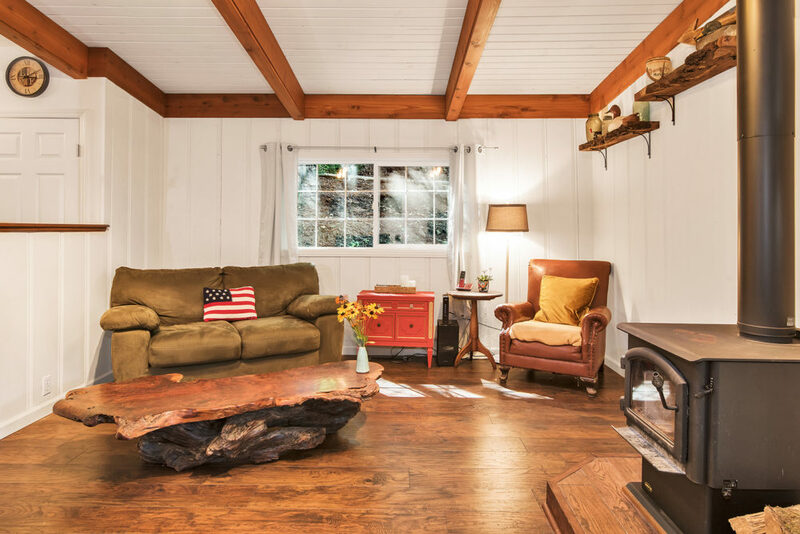 Charming contemporary home tucked into the forest on Huckleberry Heights in Cazadero. 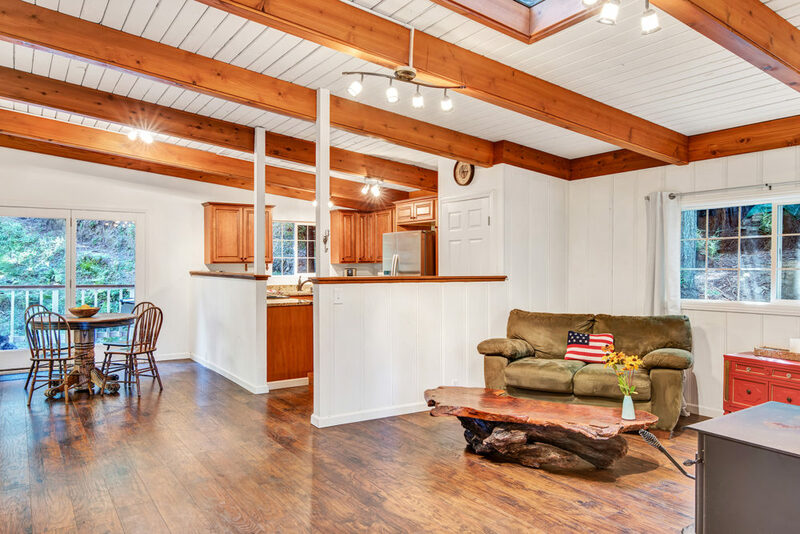 The home sits on 2.36 acres with potential to build on a barn, office space or garage. 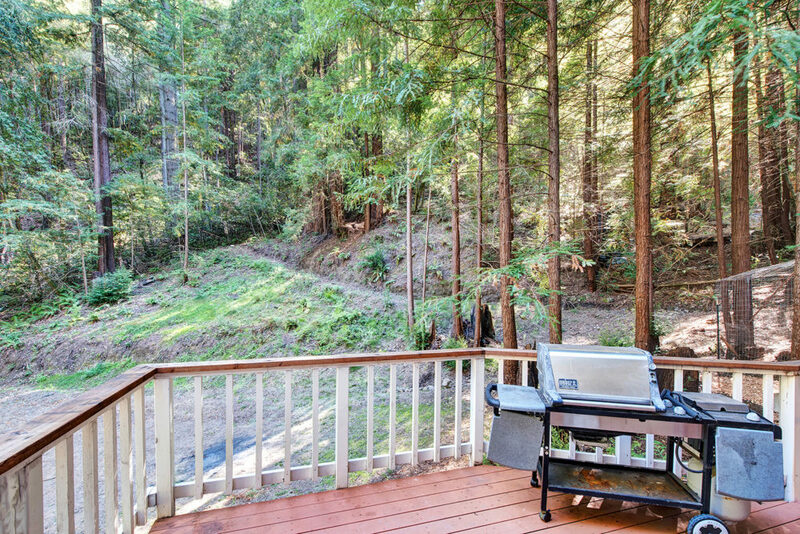 This private 2 bedroom, 1.5 bath house has a nice deck off of the dining room with space to BBQ on a warm summer afternoon. 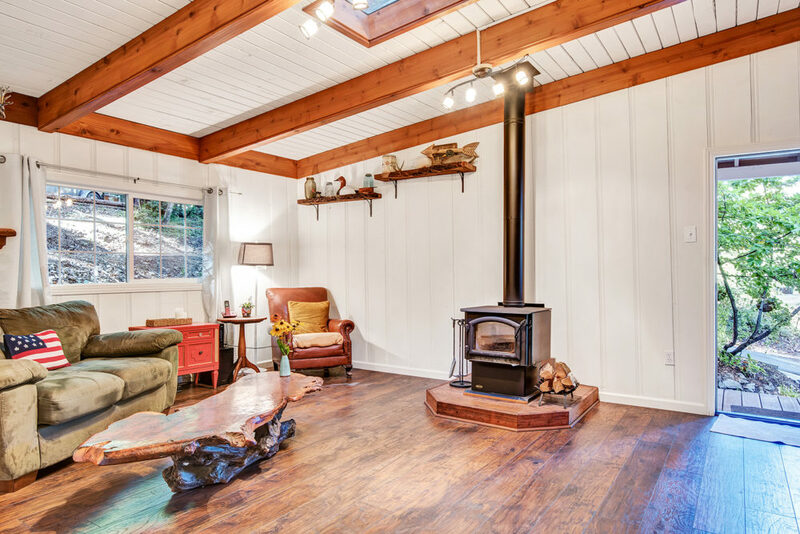 Open beam ceilings, a cozy wood burning stove and a spacious open floor plan lend to the charm that inundates the home. 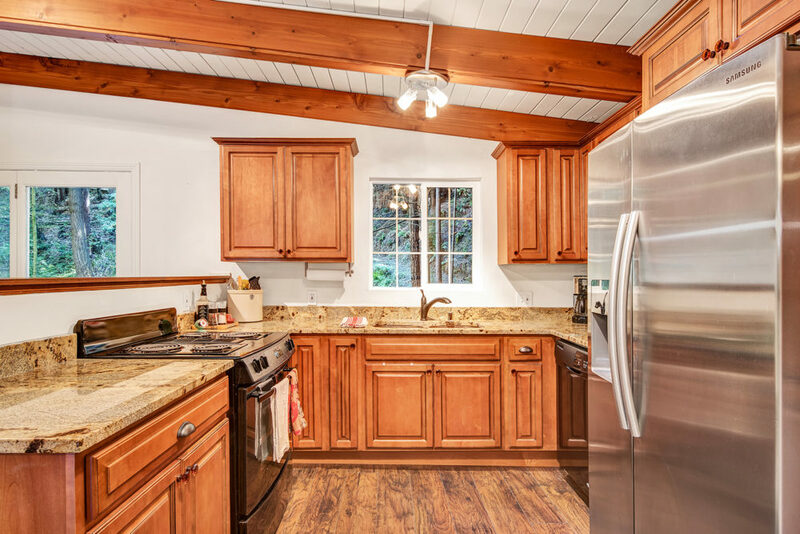 Home is cared for and maintained with attention to detail which shines through at every turn.